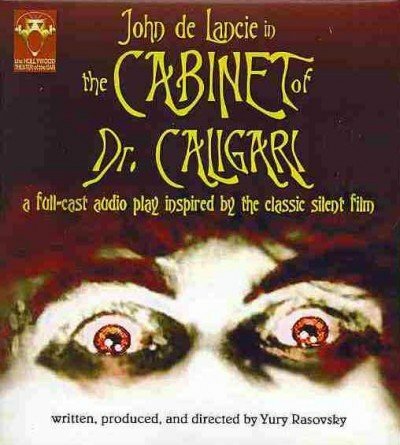 9780786166442 | Blackstone Audio Inc, February 1, 2013, cover price $19.95 | About this edition: Inspired by the classic silent film of 1919, this original audio play won the Independent Publishers Award in 1998 for best direct-to-audio production. 9780743400718 | Pocket Books, May 1, 2001, cover price $6.99 | About this edition: In an apocalyptic future, a family flees the crumbling city of San Francisco and encounters an alien presence behind the charismatic preacher who is organizing a 'solution' to the chaos that rules their world. 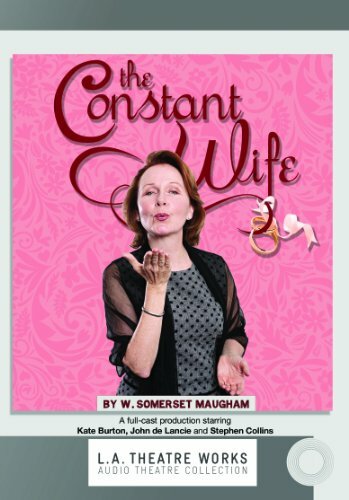 9781580817394 | L A Theatre Works, September 25, 2010, cover price $29.95 | About this edition: There s something Constance Middleton s friends are dying to tell her: her husband is having an affair with her best friend! 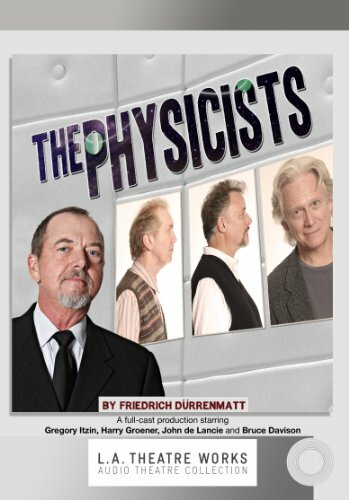 9781580816564 | L A Theatre Works, April 25, 2010, cover price $29.95 | About this edition: Johann Mobius, the worlds greatest physicist, is locked away in a madhouse along with two other scientists. 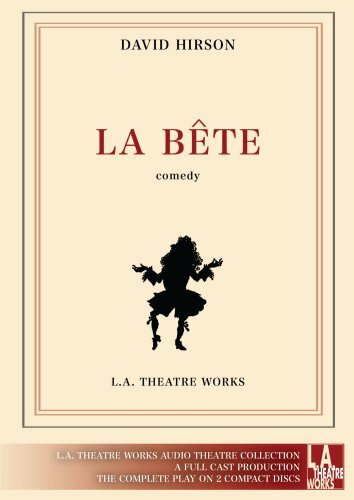 9781580815772 | L A Theatre Works, May 15, 2009, cover price $29.95 | About this edition: In a comic whirlwind of high style, La BÃªte tells the story of Elomire, a 17th century French playwright, and his touring acting troupe who have come to lead the high life due to the patronage of the fickle Prince of Conti. 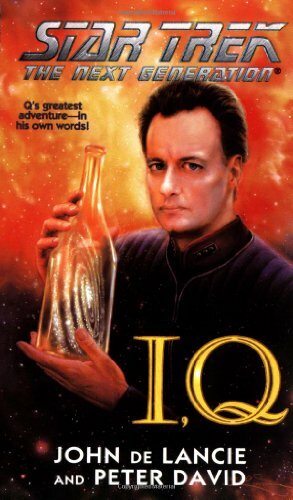 In a story told by the actor who played 'Q' in the popular TV series, the mischievous super-being joins forces with his nemesis, Captain Picard, to save the universe from the Maelstrom, a metaphysical whirlpool of apocalyptic dimension that is devouring time and space. Book available. 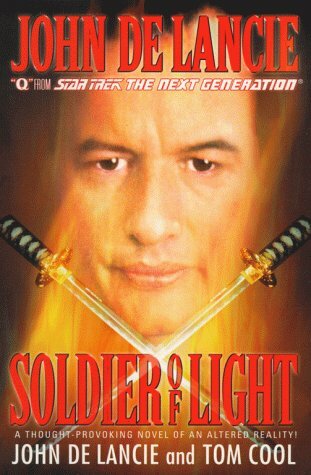 Read by John de Lancie. 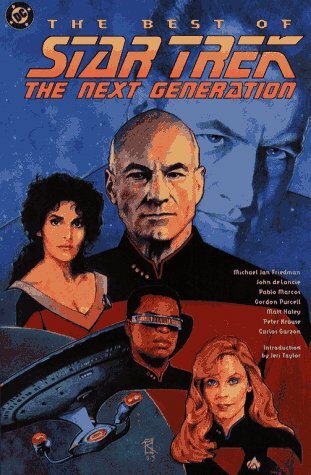 9780743532754 | Abridged edition (Encore Editions, November 1, 2003), cover price $9.95 | About this edition: In a story told by the actor who played 'Q' in the popular TV series, the mischievous super-being joins forces with his nemesis, Captain Picard, to save the universe from the Maelstrom, a metaphysical whirlpool of apocalyptic dimension that is devouring time and space. 9780743532563 | Abridged edition (Encore Editions, November 1, 2003), cover price $9.95 | About this edition: In a story told by the actor who played 'Q' in the popular TV series, the mischievous super-being joins forces with his nemesis, Captain Picard, to save the universe from the Maelstrom, a metaphysical whirlpool of apocalyptic dimension that is devouring time and space. In an original audiobook, two of Star Trek's most popular characters convene for two hours of adventure and banter. 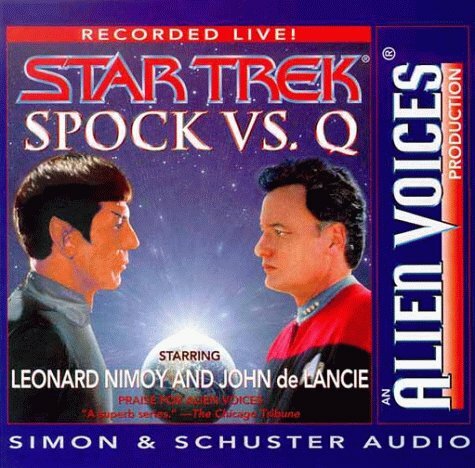 9780743509466 | Unabridged edition (Simon & Schuster Audioworks, October 1, 2001), cover price $19.95 | About this edition: Two of the most popular 'Star Trek' characters convene for two hours of adventure and banter. 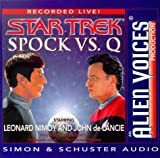 The audio-only sequel to Spock vs. Q has Leonard Nimoy and John de Lancie reprising their characters for another round of adventure and banter. 9780743507035 | Unabridged edition (Simon & Schuster, December 1, 2000), cover price $15.00 | About this edition: After sharing a meal and a conversation, Spock and Q find themselves transported into deep space, where their personalities are virtually reversed. 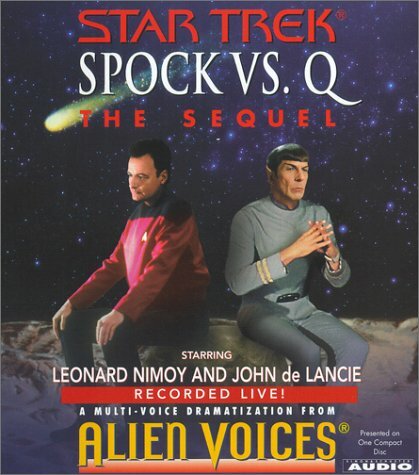 9780743507028 | Unabridged edition (Simon & Schuster Audioworks, December 1, 2000), cover price $13.00 | About this edition: After sharing a meal and a conversation, Spock and Q are transported into deep space, where their personalities are virtually reversed. In a story told by the actor who played 'Q' in the popular TV series, the mischievous super-being joins forces with his nemesis, Captain Picard, to save the universe from the Maelstrom, a metaphysical whirlpool of apocalyptic dimension that is devouring time and space. Reprint. 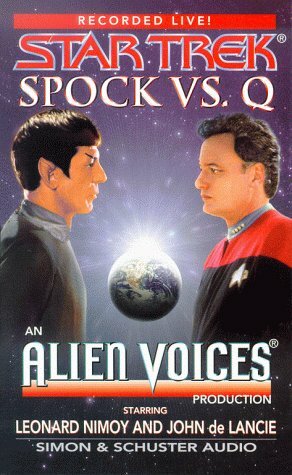 9780671024444 | Star Trek, December 1, 2000, cover price $6.99 | About this edition: The mischievous super-being Q joins forces with his nemesis, Captain Picard, to save the universe from the Maelstrom, a metaphysical whirlpool that destroys reality, time, and space. 9780671045838 | Abridged edition (Simon & Schuster, November 1, 1999), cover price $15.00 | About this edition: As the end of the twentieth century nears, an asteroid is hurtling toward Earth. 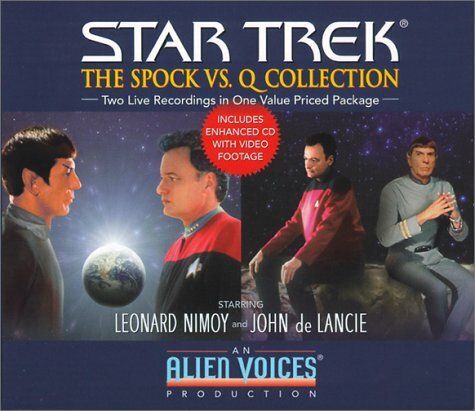 Leonard Nimoy and John de Lancie reprise their roles as Mr. Spock and the enigmatic Q in a all-star dramatization that follows Spock and Q as they debate the fate of the human race, while an asteroid races toward an impending collision with Earth. 9780671045814 | Simon & Schuster Audioworks, November 1, 1999, cover price $13.00 | About this edition: Ambassador Spock travels back in time to the late twentieth century to warn Earth's inhabitants of an asteroid that will hit the planet, but before he can do so, the all-powerful being Q appears and reminds Spock that he is prohibited from interfering inEarth's history. 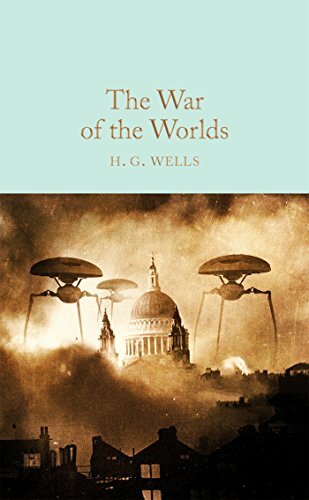 Leonard Nimoy, John de Lancie, and an all-star cast bring to life H. G. Wells's classic novel about a mad scientist who falls victim to his own genius. Book available. 9780671581046 | Abridged edition (Simon & Schuster, May 1, 1998), cover price $18.00 | About this edition: A mad scientist falls victim to his own genius. 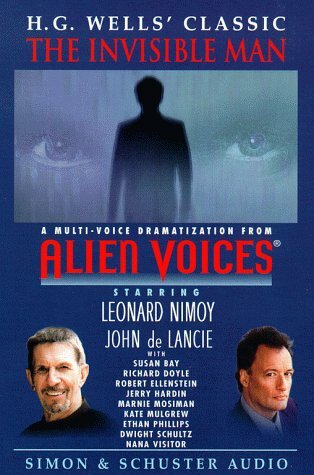 Leonard Nimoy, John de Lancie, and an all-star cast bring together Verne's classic adventure that follows Professor Lidenbrock, his nephew, and their expedition into the very heart of the planet, in a production that includes sound effects and music. Book available. 9780671575557 | Abridged edition (Simon & Schuster Childrens, June 1, 1997), cover price $18.00 | About this edition: A dramatic presentation of Verne's classic story about Professor Lidenbrock's quest for the secrets at the Earth's core. 9780671575540 | Abridged edition (Simon & Schuster, April 1, 1997), cover price $20.00 | About this edition: In this fully dramatized version of H.
In a remake of the classic radio drama, horrifying life forms emerge from a strange object in a New Jersey farmer's field, marking the beginning of an invasion from Mars. 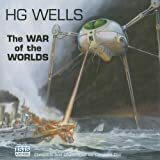 9780807235621 | Listening Library, March 1, 1997, cover price $12.95 | About this edition: In a remake of the classic radio drama, horrifying life forms emerge from a strange object in a New Jersey farmer's field, marking the beginning of an invasion from Mars. 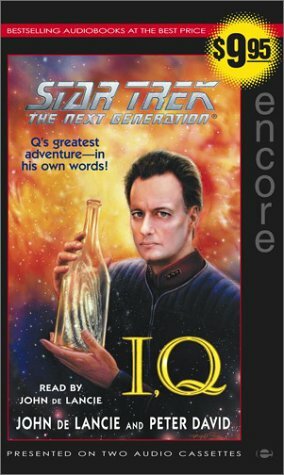 Dramatic dialogue featuring actor John DeLancie reprising his role as 'Q' and a full cast brings to life the enigmatic culture of the Borg, in a dramatic science fiction adventure based on the the Star Trek interactive CD-ROM. 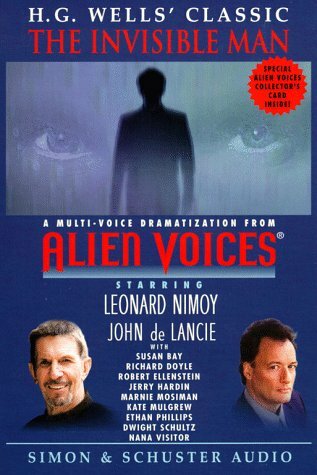 9780671574918 | Simon & Schuster Audioworks, December 1, 1996, cover price $12.00 | About this edition: Dramatic dialogue brings to life the enigmatic culture of the Borg, in a science fiction adventure based on the 'Star Trek' interactive CD-ROM. 9781563891250 | Dc Comics, May 1, 1994, cover price $19.95 | About this edition: In stories from 'Star Trek: the Next Generation,' Geordi reencounters an old love, Deanna helps Dr.